Reminder: First half property taxes are due May 16, 2016 (due to the 15th falling on a Sunday). It has been a bittersweet month in District 2. We lit the Hennepin County Lowry Bridge purple as we mourned the loss of the tremendously talented and loved Prince (I love the picture below, don’t you?). Looking forward, I’m excited that we are getting ready to welcome the Farmers Market to the Hennepin County Plaza (see story below). Farmers Market at the Government Center! On Thursdays in 2016 from May 5 through November 10, stop by the Hennepin County Government Center South Plaza (between 7th and 6th Streets on 3rd Avenue S) as the Nicollet Mall Farmers Market has relocated there during the Nicollet Mall project. TheFarmers Market will be open from 6 am to 6 pm, and will include all the fresh product, flowers and assortments of goods that you’ve come to expect. With the South Plaza easily accessible by walking, biking, light rail and several bus lines, it is easy to stop by throughout the year. The market will augment efforts to bring downtown workers and commuters to Government Center events over the lunch hour, which will include Summer on the Plaza music, a new Little Free Library, and on Wednesdays lawn games and food vendors. 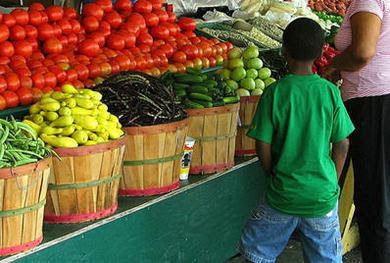 Farmers markets offer a multitude of benefits. One is fighting hunger and improving the health of those who receive nutrition assistance. Through the USDA’s WIC Farmers Market Nutrition Program (FMNP), WIC participants are able to access locally grown fruits, vegetables, and herbs that promote the wellbeing and health of themselves and their children. In addition, the Minnesota Legislature approved the “Healthy Eating Here at Home” bill (also referred to as HEHAH) in 2015. The bill provides matching funds for SNAP recipients to use at farmers markets. The Market Bucks program is administered by Hunger Solutions Minnesota. The new program rolls out at all participating farmers markets in spring 2016. See more at:www.hungersolutions.org/programs/market-bucks/. The board recently approved a resolution co-authored by Commissioners Higgins, Randy Johnson, Callison, Greene, and McLaughlin directing the Public Works Department to protect and expand pollinator-friendly habitat by limiting the use of systemic insecticides, such as neonicotinoids on county-owned property, and requiring that new plants and trees installed on county-owned property are free of the pesticide. As part of the resolution, members of the board also encourage county residents, school districts, nonprofit organizations, and businesses to implement pollinator-friendly best practices on their properties. Read more about the resolution to protect pollinators. 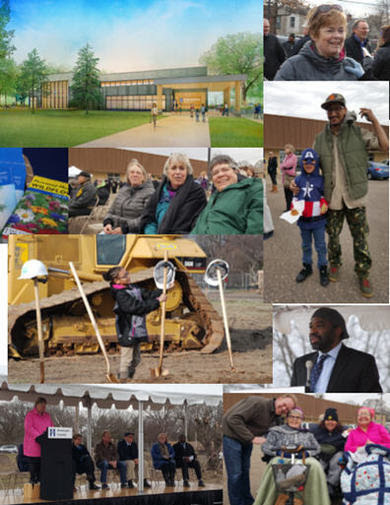 Over one hundred community members attended the groundbreaking April 12 for the new 8,300 square foot Webber Park Library at 4440 Humboldt Avenue North in Minneapolis. The $10.5 million building project will be twice the size of the previous Webber Park Library and five times larger than the current temporary library in Camden Center. This new library has had a significant journey already. After a merger, a recession and a structural failure, I am proud to report that construction work is now underway. And twice the number of computers as the previous Webber Park Library. I am particularly excited about the outdoor reading area, where children and adults can relax with a book and enjoy the warm weather near Victory Memorial Parkway. One of the highlights of the event, was when all of the neighborhood kids came up to shovel some dirt. Their smiles and excitement remind us why we work to create these spaces of opportunity and learning for our residents. We are all looking forward to the grand opening event in summer 2017! Because funds are available this year, the Energy Assistance Program has the opportunity to renew the program to serve more households and increase assistance. These changes include extending the application deadline to July 1, 2016, and increasing the maximum Crisis benefit from $500 to $1,000. These changes are effective immediately. Depending on income and family size (for example, a single person household of under $1,995/month), applicants may be eligible for EAP assistance with heating bills, Energy Related Repairs (ERR) Program, or the Gas Affordability Program. To apply, or for more information, call 952-930-3541, visitcapsh.org/services/energy-assistance/ or visit one of the Community Action Program of Hennepin offices located throughout Hennepin County (note the hours of operation). Spring is here – Step To It! The Step To It Challenge is a four-week physical activity campaign. Track your activity and record steps on the Step To Itwebsite. The challenge runs from May 1 – 28 in Hennepin County and participating communities. 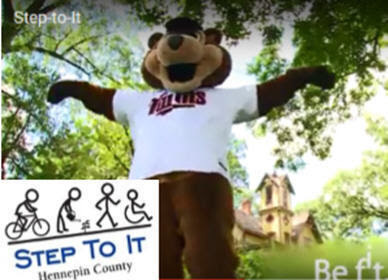 The Minnesota Twins join Hennepin County and participating communities as proud sponsors of the 2016 Step To It Challenge. Winning participants from each community will be recognized during a Twins game this summer and can win Twins tickets. Bloomington, Brooklyn Center, Brooklyn Park, Champlin, Crystal, Eden Prairie, Excelsior, Golden Valley, Hopkins, Little Earth of United Tribes, Maple Grove, Maple Plain, Minnetonka, Minnetonka Beach, New Hope, Orono, Osseo, Plymouth, Richfield, Robbinsdale, Rogers, Southside Q-Health/Sabathani, St. Louis Park, and Shorewood. If you don’t see your community listed but would still like to participate, sign up as a “non-participating community”. Visit the Step To It website to see a quick video with T.C. Bear and get more information https://www.steptoit.org/. The late Twin Cities advertising executive Pat Fallon left a bequest supporting traumatic brain injury research at Hennepin County Medical Center (HCMC). The Hennepin Health Foundation announced a major gift from Pat to support the Rockswold Kaplan Chair for Traumatic Brain Injury Research at HCMC. Some 350 Hennepin County residents are being contacted this spring to take part in the National Health and Nutrition Examination Survey (NHANES). Who knows? You might be one of them. Conducted by visiting staff from the National Centers for Health Statistics, a branch of the Centers for Disease Control and Prevention (CDC), NHANES is an essential survey of our nation’s health and nutrition status. In existence since 1960, the survey has provided valuable information for more than 55 years on the prevalence of major diseases, risk factors for diseases, and the relationship between nutrition and overall health of all people living in the United States. More than 5,000 people, nationwide, will participate this year, so the 350 or so from Hennepin County will represent about 7 percent of the national cross section of participants. Survey staff first collect information through interviews scheduled in each randomly selected participant’s home. Then they schedule appointments to collect health measurements from participants at a Mobile Examination Center temporarily set up in Minneapolis. When NHANES staff contact local residents, they should know that they’ll be contributing valuable information to a pool of information collected nationally. They’ll also learn things about their own health, all the while knowing that all information obtained in the survey is held in the strictest confidence and will be used only for statistical purposes. See cdc.gov/nchs/nhanes/index.htmfor more information. 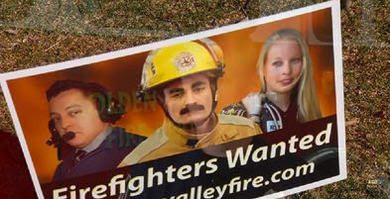 The call is out for additional members to join the Golden Valley fire fighter team. If you are 18 years or older and live within 6 minutes of a Golden Valley fire station, this may be for you. For more than 70 years, Golden Valley residents have relied on so-called ordinary people to protect the community. The Golden Valley Fire Department takes pride in its top-notch firefighters, facilities, equipment, and training. Golden Valley welcomes applications from men and women from all walks of life to continue this tradition of service. Events held at Fire Station 1, 7800 Golden Valley Rd. The recruitment timeline is subject to change, based on the needs of the city. For more information including additional timeline dates, visit goldenvalleymn.gov. County Board Chair Jan Callison delivered a State of the County address at the Hopkins Center for the Arts on April 19. The audience included many of our partners in local government, business and the nonprofit world, as well as staff, volunteers and residents. We hope that you also will join us as we continue work to make this county a better place to live, work and visit. To see the video or read a transcript, visit hennepin.us/stateofthecounty. 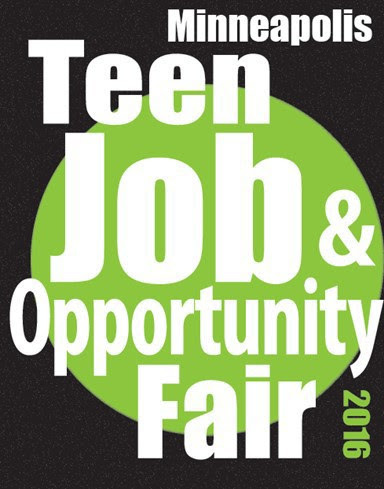 The Minneapolis Teen Job and Opportunity Fair is an opportunity for teens ages 14 to 19 to connect with businesses and organizations for information about jobs, employment training, internships, and volunteer opportunities. Some of the employers will be accepting applications and interviewing at the job fair. Others will require an on-line application. Attendees will be welcome to use computers at the library to complete applications. The Teen Job Fair is free and open to the public. Preregistration is not required. Parents, guardians, counselors, and teachers are welcome to attend the event. The Teen Job and Opportunity Fair is produced by City of Minneapolis department of Community Planning and Economic Development, Hennepin County Library, AchieveMpls, Minneapolis WorkForce Centers, Lunds and Byerly’s, Minneapolis Park and Recreation Board, Minneapolis Youth Congress, and Minneapolis Youth Coordinating Board, EMERGE, and East Side Neighborhood Services. The County Board approved an agreement with the Central Minnesota Vegetables Growers Association and the Downtown Council to relocate the Thursday downtown Minneapolis Farmer’s Market to the South Plaza of the Government Center (see story above). The Hennepin County Board voted to approve the amended articles of incorporation for Community Action Partnership of Suburban Hennepin County. CAPSH approved the amended articles last year. The community action agency works across suburban Hennepin County to improve the lives of low-income people. Late last year, CAPSH was designated by the Minneapolis City Council as the community action agency in the city of Minneapolis. Based on this change, CAPSH will seek administrative approval of the designation by the Minnesota Department of Human Services as the community action agency for the City of Minneapolis. Read more about the changes to Community Action Partnership of Suburban Hennepin County. The county board voted to accept a $5.4 million grant from the federal Health Resources Administration to continue the Hennepin County Health Care for the Homeless. The board also approved an additional appropriation of $352,574 to increase staffing. The Public Health program, which operates clinics in nine homeless shelters, served 4,443 patients in 2014, over the course of 11,707 visits. Read more about the grant to fund Health Care for the Homeless. The County Board voted to approve lease agreements and operational costs for spaces related to the Cedar Riverside Opportunity Center, a one-stop shop for educational and workforce resources and a pipeline to employment with identified public and private sector employers. The Cedar Riverside facility will be an opportunity center for all, with special outreach to diverse communities, including the East African community. The agreements are for a 4,996 square feet primary center on the street level of an existing mixed use building located at 515 15th Avenue, Minneapolis. The first year’s occupancy costs, including rent and utilities is estimated at $105,000. The other sublease agreements require Minneapolis Community and Technical College and Emerge to contribute $70,000 during the first year to reflect their use of space at the center. Read more about the lease agreement. The board voted to approve a $120,165 grant from the Minnesota Department of Natural Resources to help offset the Hennepin County Sheriff’s Office’s costs to provide boat and water safety activities. Spring clean up day. Get rid of unwanted items. For a list of items, visit ci.saint-anthony.mn.us. Orchestra concert. Dessert and silent auction. $10. For more information, call 612-788-3516. Arbor Day Celebration. Help plant more than 130 new trees. Beer garden, free dinner for kids (while supplies last), a tree-themed nature play area, giant checkers, tree-sized ladder golf, and rope-and-saddle tree climbing. Tree planting excursions every half hour beginning at 4:30pm. Kickball games begin at 5pm, and a tree planting ceremony is scheduled for 6pm. Weed It and Reap. Pick up debris near local businesses, sidewalks, boulevards, area parks and neighborhood streets. NE Chamber will provide vests, gloves, garbage bags, and area assignments. Volunteers will receive t-shirts. Pre-registration is appreciated by visitingminneapolischamber.org or contacting Christine Levens at612-378-0050 or clevens@minneapolischamber.org. WingDing. The neighborhood celebration will include eco exhibits, nature presentations, master gardeners, free bicycle check-up clinic, arts-and-craft activities, sports camp, carnival games, food, live music, spring plant swap, and a chicken wings contest. Contest participants should drop off a dozen wings at the recreation center kitchen by 11am. Judging and awards will be at noon. In case of rain, events will be held inside Northeast Middle School. For more information, email Chris Pratt at chrispratt222@gmail.com. To pre-register for the sports camp for all ages, email erreip@aol.com. Wine Tasting. Wine, food, entertainment, and silent auction. $45 in advance, $50 at the door. For tickets, visit esns.org. Open House. Visit Officers from the Minneapolis Police 2nd Precinct. Food and beverages available. Art-A-Whirl. Free. Tour art studios, galleries and purchase original art. For artist directory and guide, visit nemaa.org. Foodie 4 Mile. Registration is open. $25 early bird special. To register and for more information, visit www.active.com. Art Park. Free. Art sale and activities. Spanish classes. Beginner and advanced classes. To register, visit languagecentral.us. Open House and Resource Fair. Staff will be on hand to share information and answer questions about programs, resources, job opportunities and other Park Board offerings. Register for activities and sports leagues, or buy a parking permit. Kids’ activities, a truck display, food, bounce house and more. Raingarden workshop. Free. Planting pollinators, with an overview of a do-it-yourself approach to raingardens and native plants. To register or for a full list of locations, visitmetroblooms.org or call 651-699-2426. Memorial concert. Hear the Robbinsdale City Band play music to honor our veterans. Every third Saturday of the month, food distribution 8-9:30am and hot meals 3-5pm. Also, a summer food program for kids under 18. For more information, call 612-521-1749. Best of the Twin Cities. Celebrate Minnesota favorites. Pose on the red carpet, complimentary food samples, live music and other entertainment. For tickets and more information, visit ticketfly.com. Public hearing. Hear information and make comments regarding 721 N 1st Street, in the St. Anthony Falls Historic District. Open studios art event. Free and open to the public. See new work made in ceramics, drawing, installation, painting, photography, printmaking and sculpture. The art is for sale. Festival of garage sales. For more information, visitbmna.org. Bike rodeo. Bring your bicycle for a free safety check and take a riding skills test. Bike helmet fitting, refreshments, music, McGruff the Crime Dog and Sparky the Fire Dog, and door prizes. Ages 12 & under with adult. Vehicle fair. See a variety of vehicles up close, from emergency to construction vehicles. To register, visitcalendar.google.com. Plymouth Lions Dinner meeting. For location visit,plymouthlions.org. Kids garage sale. Children’s toys, clothes and games. Open to the public.